Va Jumbo Loan Guidelines and requirements for a VA Home loan. VA jumbo loan guidelines for standard conforming loan limits is $417,000 in most parts of the country. But that amount just isn’t going to cover some houses. Limits are significantly higher for jumbo loans, offering the money needed to finance the higher-priced and luxury homes. Obviously there are some major differences between your standard conforming loan and the jumbo loan. 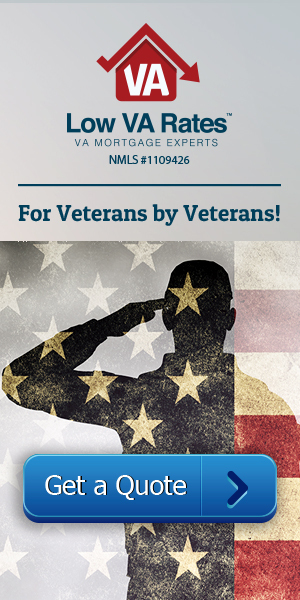 Let’s take a look at some of the VA jumbo loan guidelines. For one, jumbo loans usually require two appraisals, rather than just one, to make sure the house you want is up to par. If the house falls short of the VA or lender guidelines, the lender will likely decline the loan. An online VA lender’s handbook, which contains an entire chapter on appraisals and other related guidelines, will give you more details on what is required here. Many counties in the U.S. actually have higher limits than $417,000. Depending on what county a veteran lives in, he or she may already have a higher limit on home loans. First determine what the actual county limits are. To calculate down payments, a VA jumbo loan requires the county loan limit to be subtracted from the price of the home. The veteran then pays 25 percent of this difference in down payment. This is much, much lower than regular jumbo loan down payments, which usually require at least 10 percent down on the overall price of the house (and that’s with a good credit score). VA jumbo loan guidelines also lays out that the borrower must have sufficient income that covers repayment of the mortgage in order to qualify for a VA loan. Two factors are evaluated: amount of income and the likelihood it will continue. The lender takes a few factors into consideration when determining sufficient income. This includes accounting various obligations like student debt, car payments, and credit card payments, as well as the possible housing expense. For the most part, the debt ratio is 41 percent. That means the total amount of your debt (including the proposed monthly house payments) cannot exceed 41 percent of your monthly income. For likelihood of continued income, the biggest thing a lender looks at is the previous two years’ employment. And the lender must expect your income to continue through the first three years of the loan. A few different documents are needed to verify your military service. These should be the same needed for any VA home loan application. Included is a request for COE form 26-1880 and your COE, or Certificate of Eligibility. If you are active duty, you should have a statement of service from your commanding officer. And, if you’re separated from the military, you need a copy of the DD214. These documents and those needed for military information might seem like a lot, but this doesn’t have to be a strenuous process. Your lender can help you obtain and provide every piece of information necessary. Plus, if you already have these documents on hand, the process will go much quicker. Credit score requirements are a lot higher for jumbo loans than for your regular conforming loans. Most lenders ask for credit scores of at least 680 for jumbo loans. But different lenders require varying credit scores, some much higher than others, so you must check with your individual lender to see if you qualify in this area. This article is not meant to be a comprehensive list of all the guidelines and requirements needed for a jumbo loan. Check with your individual lender to know what else is needed.